In December, the health-care industry rejoiced as the 21st Century Cures Act achieved overwhelming bipartisan support in Congress and was signed into law by former U.S. President Barack Obama. The new legislation aims to increase funding for cancer research, speed the development and approval of new treatments, and strengthen mental health services. While this measure can bring exciting new innovation, there is one major aspect missing from the new law. The Cures Act does not address a pervasive problem many citizens have with the pharma industry: excessive drug prices. 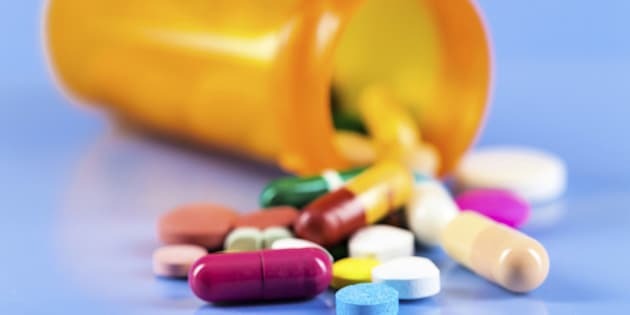 Over the past two years, drug prices came to the forefront of national conversation when several companies dramatically increased the cost of some treatments. Mylan was at the center of a national outrage over the 400% price increase for its lifesaving allergy treatment, EpiPen. Turing Pharmaceuticals hiked up the price of their drug, Daraprim, by 5,000% overnight. These increases sparked consumer outrage and Senate investigations into price gouging. President Donald Trump has even stated that he wants to reduce drug prices and believes the government should require competitive bidding. It is heavily debated whether giving Medicare the right to negotiate would "save billions," as Trump claims. While he does not provide further detail on this concept (among others), it is clear his administration may lead to new pricing restrictions in 2017. By way of background, unlike other nations, the U.S. government currently does not regulate drug prices. Prices are determined by pharmaceutical companies and rebates are negotiated in private. Alternatively, in Europe, governments negotiate directly with companies to limit what their government-funded health systems pay. Reducing drug prices is not a black and white issue and the topic remains a wild card with Trump taking office. There are valid concerns down both sides of the aisle and a fair solution will require teamwork across all different organizations, drug makers, health insurers, and government sectors. Let's take a moment to look at the arguments on both sides: for and against restricting drug prices. In an argument for reducing drug costs, doctors and insurance executives worry that many medicines are becoming unaffordable for patients, while companies are getting wealthier. Many critics can point to the drug industry's large profit margins - pharma is the most profitable U.S. industry with a 30% net margin in 2016, according to Factset. Advocates of greater price reduction also argue that it would not affect greater innovation and new treatments. Companies could keep their research and development costs the same, while reducing spending in other areas, such as marketing. Senator John McCain's proposed bill, the Fair Drug Pricing Act, would require companies to justify large cost increases and disclose spending on research, development, and advertising. The main argument against reducing drug costs is that it would harm innovation. Pharmaceutical companies need large profits to develop new therapies. Companies make a significant upfront investment and take a large risk in developing drugs - most do not make it to the market. The odds for a new drug to progress from preclinical to human testing and become FDA approved is 1 in 5,000. Many would argue that pharmaceutical companies deserve a fair return on their investment. While drug prices have increased, today's drugs are more valuable and effective for patients than most new cancer drugs were many years ago. In fact, the death rate from cancer in the U.S. declined 25% from its peak in 1991 to 2014 due to early detection and new treatments. This decline translates to more than 2.1 million deaths averted during this time period, according to the American Cancer Society. With fair arguments on both sides of the issue and no near-term resolution, what can companies do in the meantime to get ahead of the issue? One suggestion for drug company executives is to create a voluntary code-of-conduct to help curb dramatic pricing practices. Companies can be more transparent about the justifications for drug prices and educate investors and patients about factors that may influence costs. Allergen CEO Brent Saunders is starting to put this concept into practice. He has pledged that the company will create a "social contract" with Allergan customers that promise fair drug prices and develop patient assistance programs for more than 40 drugs. In addition to drug prices, replacing the Affordable Care Act will have huge implications for the 18 million people it insures. There are already concerns of not having a replacement plan ready as well as the potential financial cost of repealing the law. As a new and unpredictable administration enters the White House, ongoing discussion and further research is needed to find resolutions that can benefit patients and continue to progress life-saving treatments. Here's hoping that a fair resolution to drug pricing - as well as a potential new healthcare plan - is met with the same optimism and outlook as the Cures Act.